From north Yemen, on the Arabian Peninsula, comes one of the truly exotic coffees of the world - Yemen Mattari, the famed Mocha coffee which has been acclaimed for generations for its distinctive chocolate aftertaste. It is one of the world's premier coffees. We unhesitatingly recommend this Yemen Mocha coffee and invite you to try some. Yemen produces some of the best coffee in the world, despite very difficult conditions, and it has been doing so for hundreds of years. Only 3% of Yemen's land is considered arable, and just under a quarter of that is dedicated to coffee production. As a cash crop, coffee is second only to qat, a popular mild stimulant whose leaves are chewed. Yemeni coffee is produced on approximately 99,000 small family holdings, which means the average plot of coffee is grown on just under three fourths of an acre. That acreage is often very steep, as most coffee is grown in the mountains on terraces carved out of the precipitous hillsides. Yields of Yemen coffee beans are low. The small size of the farms, scarcity of water, and poor cultivation techniques hamper production. Many of the coffee farms are cultivated by tenant farmers, and there is little motivation for investment in terracing, water conservation, and other improvements. Despite these obstacles, Yemen continues to produce outstanding coffee. Coffee from Yemen has been prized for centuries. It was once one of the top producers in the world, and its Mocha coffee, exported from the old Yemeni port of Mocha, is the original Mocha in Mocha Java, which originated when traders blended Middle Eastern coffee with the Dutch coffee from Southeast Asia. Yemeni coffee is scarce in contrast with other coffee producing nations; Yemen consumes almost three quarters of its production at home, and 55% of what it does export goes to its wealthy neighbor to the north, Saudi Arabia. 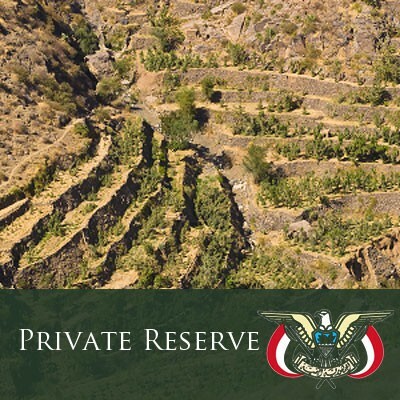 We are pleased to be able to offer you a taste of this rare coffee from Yemen. Our Yemen Mattari has a superb flavor. It starts with a hint of dark chocolate in the aroma, which shows up again in the taste. The coffee is rich with medium acidity and just the right brightness, but there is something that tastes almost green or herbal that adds, perhaps, a taste of the steep mountain terraces it is grown on. Our Yemen Mocha Mattari is an excellent coffee and we hope you enjoy it.